As the bitterly fought Assembly elections approach in Madhya Pradesh and Rajasthan, the simmering anger of farmers against the incumbent governments led by Bharatiya Janata Party (BJP) can be seen across the two states. 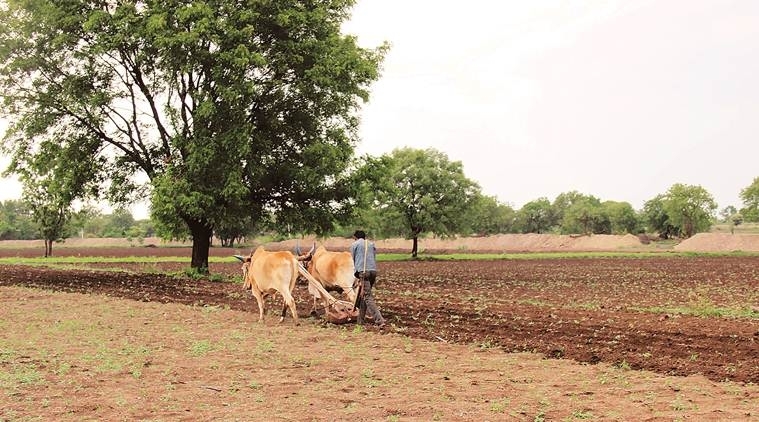 The reasons for this can be seen in the latest reports on agricultural prices being offered to farmers as the kharif crops are brought to mandis for sale. Most of these crops, barring paddy, are selling at prices below the Minimum Support Prices (MSPs) declared with great fanfare by the Narendra Modi government ruling at the Centre. Have a look at the latest data reported by Agmarknet portal, run by the Directorate of Marketing & Inspection (DMI) under the Ministry of Agriculture and Farmers Welfare. 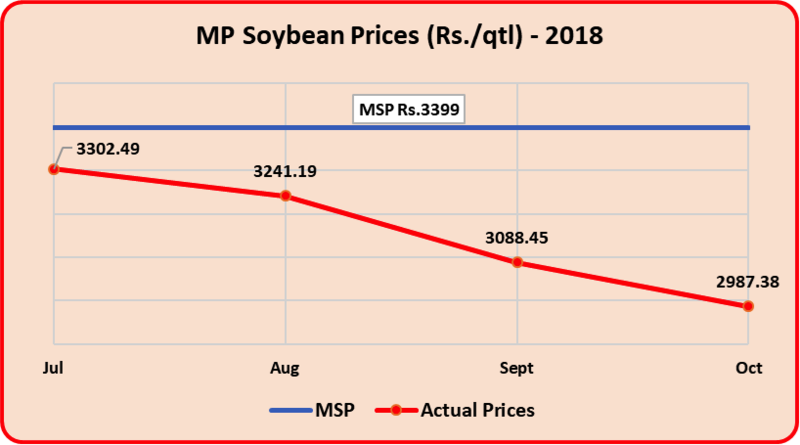 In MP, where soybean is a major crop, prices have steadily declined as the bumper harvest came to the markets and was recorded at an average of just Rs.2,987 per quintal in October compared with the MSP of Rs.3,399/quintal. That’s a 12% deficit. 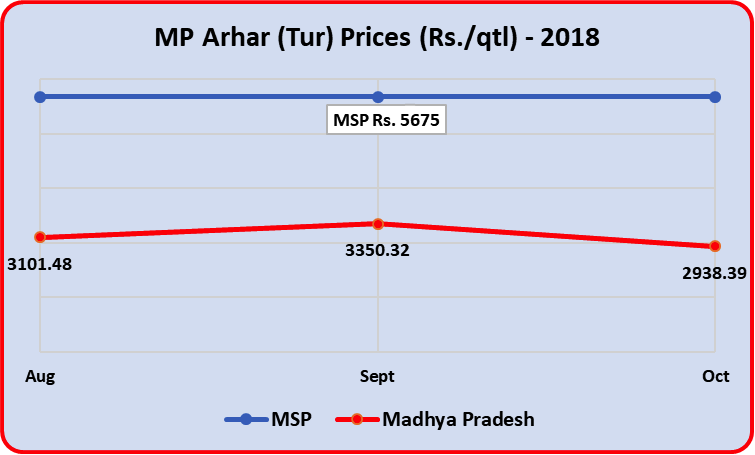 Another major crop in MP is arhar (tur), the dal consumed in enormous quantities across India. The Modi government had fixed its MSP at Rs.5,675 per quintal. It was sold at an average price of Rs.2,938 per quintal in the state – a whopping 48% below the MSP. 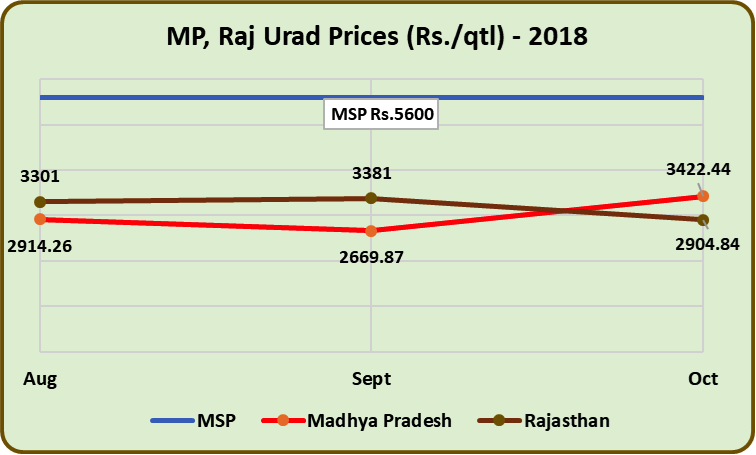 Another major constituent of the pulses basket, urad, was sold at Rs.3,422 average rate per quintal in MP and an even lower Rs.2,905 per quintal in neighbouring Rajasthan in October compared with the MSP of Rs.5,600 per quintal. That’s a deficit of 39% in MP and 48% in Rajasthan. Even coarse grains, mostly sown by the poorest farmers on rain-fed land, are not faring well. 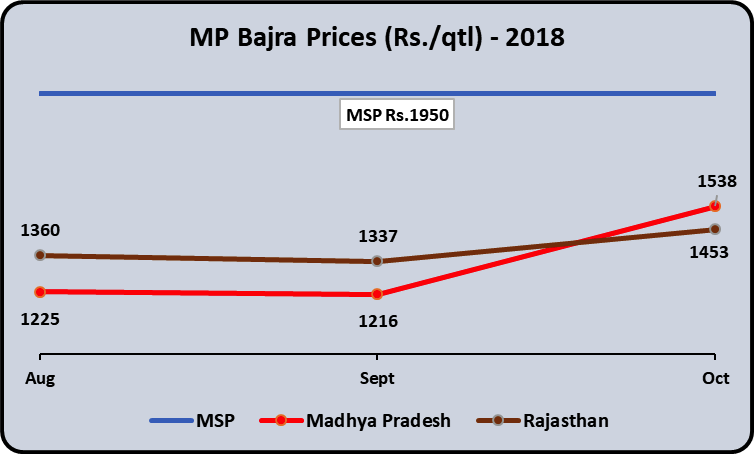 MSP for bajra (pearl millet) was fixed at Rs.1,950 per quintal but it was sold for just Rs.1,216 per quintal in September in MP before rising to Rs.1,538 in October, still 21% below the MSP. 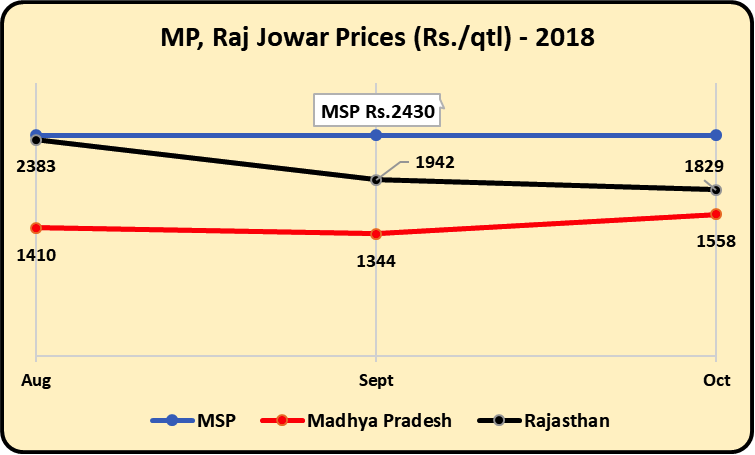 In Rajasthan, it sold for Rs.1,337 in September before rising to Rs.1,453 per quintal in October, nearly 26% below MSP. A similar fate awaited the highly nutritious jowar (sorghum). It sold for Rs.1,829 per quintal in Rajasthan and for Rs.1,558 in MP compared with the MSP of Rs.2,430 per quintal. Losses for farmers were thus 36% in MP and 25% in Rajasthan. One shouldn’t forget that the declared MSPs are still not meeting the full production cost + 50% promise that Modi had made in his 2014 election campaign. If you were to compare it to that standard, the farmers’ losses would be double. Most of these losses are directly attributable to the absence of requisite procurement machinery in the states. As reported earlier by Newsclick, just 45% of total wheat produced was procured by the MP government, while the Chhattisgarh government could procure just 46% of the paddy produced last year. If this is the sorry state of affairs of the two dominant crops, you can imagine what is happening with the smaller crops. This is a commentary on the BJP’s alienation from the people that despite facing a tough electoral battle, and just months away from a general election, it has been unable to provide any solace to distressed farmers who have been on the roads fighting for better prices for the past four years. The upcoming Assembly elections will perhaps show them the cost of this criminal neglect.